Nice turnout of over 70 people yesterday! 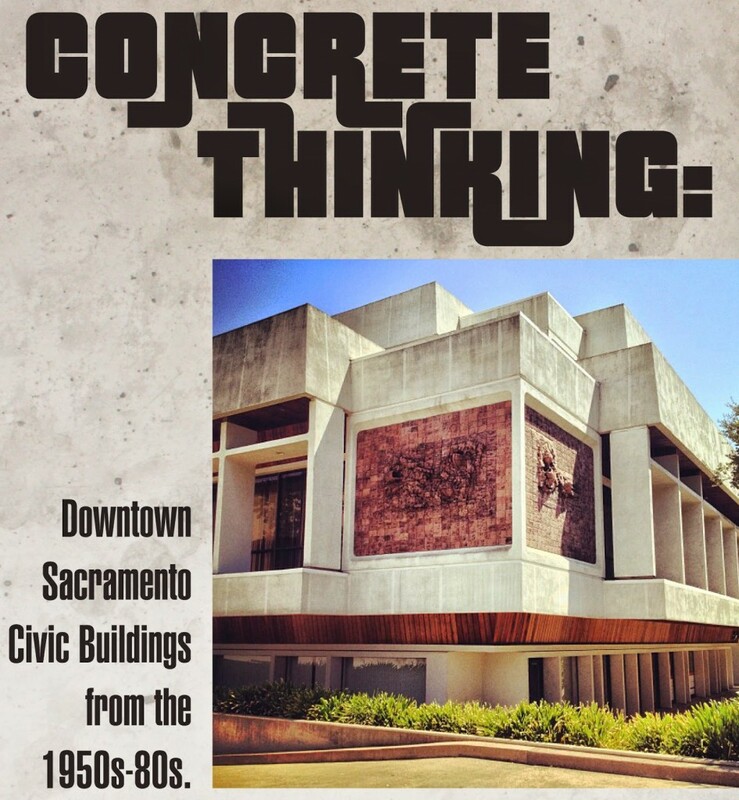 We hope those of you who joined SacMod (Sacramento Modern) for our “Concrete Thinking” bike tour in collaboration with Sacramento Area Bicycle Advocates had a great time *AND* gained a stronger understanding of and appreciation for the buildings and art that we highlighted. If you missed it, don’t worry! 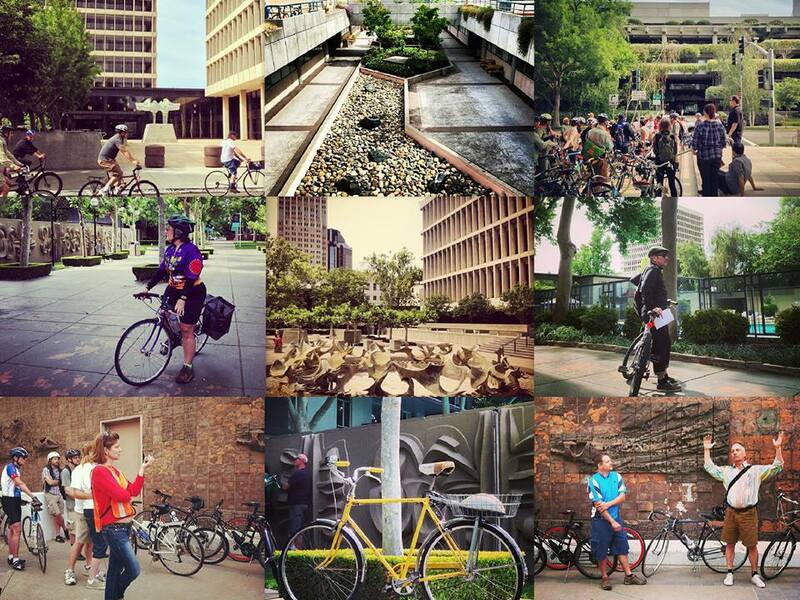 You can still enjoy our expanded walking tour later this year. Photo credits: Photos 1, 3, 4, 6, and 8 – Justin Wood; Photo 2 – Jefferson Lieb; Photo 5 – Patrick Stelmach; Photos 7 and 9 – Zann Gates. Calling all cars! 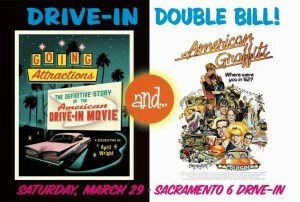 Join Sacramento Modern, along with film director and producer April Wright, for a double feature drive-in movie night! 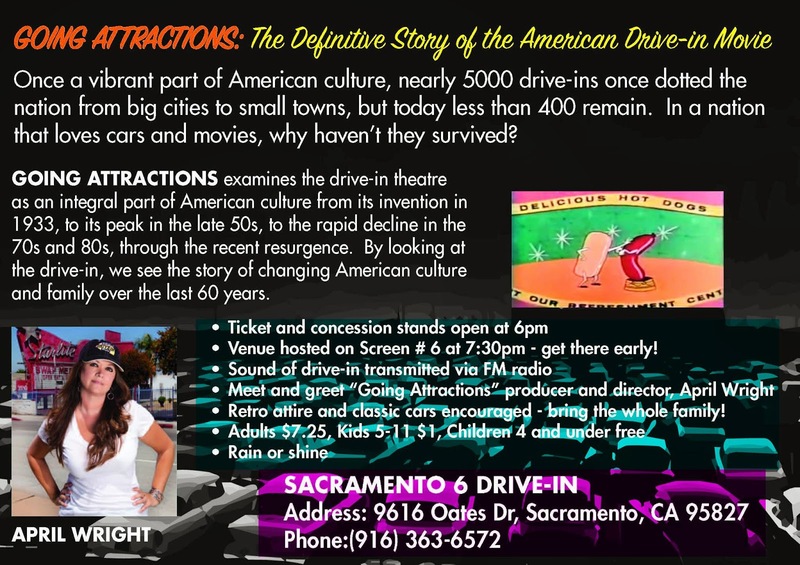 April’s documentary on the history and fate of drive-ins, “Going Attractions”, will be paired with “American Graffiti” for a fun evening that you won’t want to miss! 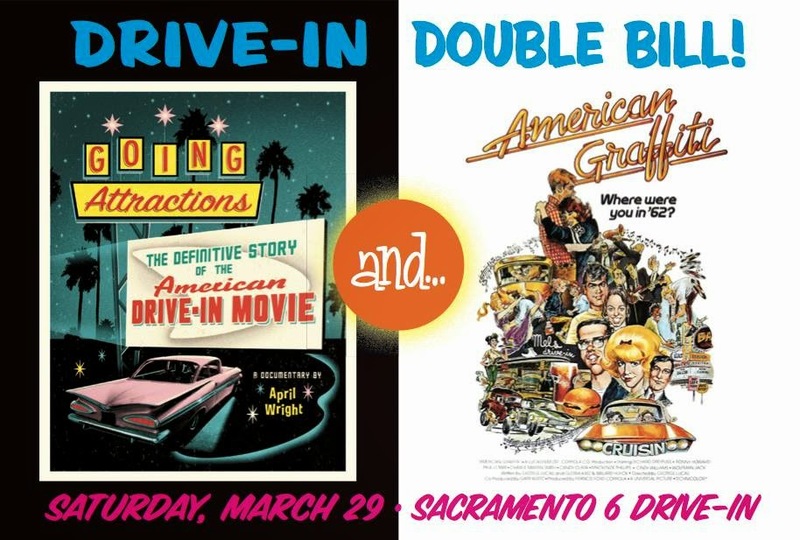 March 29, 2014 at the West Wind Sacramento 6 Drive-In, with ticket sales starting at 6PM. $7.25 general, $1 children ages 5-11, free for children ages 5 and younger. Vintage cars and vintage dress encouraged! Hope to see you there!